While last year's hype surrounding cryptocurrency may have died down, the distributed ledger technology that underpins digital currencies is seeing renewed interest from businesses. Blockchain is currently being used in the enterprise to help secure sensitive data and to make sure that only users with the right credentials have access to it. 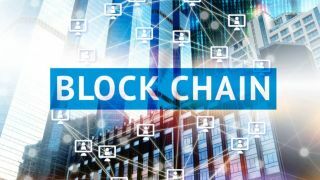 To learn more about enterprise blockchain, TechRadar Pro spoke with Gospel Technology's founder and CEO Ian Smith. How is enterprise blockchain disruptive? In today’s highly competitive business landscape, collaboration is essential to maximising opportunities. However, the risk of sensitive information falling into the wrong hands or cyber criminals exploiting loopholes in security processes means businesses are being overly cautious. For many businesses, this has meant deploying zero-trust solutions which restrict access negatively impacting business agility and collaboration. Enterprise blockchain, distinctly different from the blockchain used by cryptocurrency vendors, is underpinned by Distributed Ledger Technology (DLT), specifically designed to address the issues above by providing a secure perimeterless security infrastructure, which should provide access to data to individuals or groups based on consent and credentials. It should ensure that businesses retain control of their data once it’s shared internally or externally. This architecture creates a data network of trust for secure data collaboration—both between employees within an enterprise (intra-enterprise) and between enterprises and partnerships (inter-enterprise). What value and benefit does it provide? One of the main benefits of a secure data platform underpinned by DLT is that it allows for the scalable generation of trusted data in a perimeterless security infrastructure, creating a single version of data truth across all parties. Businesses can retain control of their data once it’s shared, providing flexible access based on credentials supporting secure data sharing. DLT technology also enables an immutable record of all activities to the data, natively providing a higher level of data management than currently experienced. These immutable records can mitigate the risk of data breaches by eliminating the need to respond and react to the well-documented lags between initial data misuse, identification and response. Despite the increasing budgets businesses are spending on cybersecurity solutions, major breaches are rarely out of the headlines. Creating a secure distributed data infrastructure using DLT does away with the need to continue investing in unneeded cybersecurity, data recovery and data backup solutions, combining their benefits into a single package, with far greater effectiveness. How does this differ from traditional enterprise technology? For many businesses, the technologies that underpin their data processes were designed for an era when data was generated, used and shared in limited quantities, very unlike today’s omni-channel, digital world. The traditional contained enterprise network disappeared many years ago as businesses opened their organisations to global engagements and the workforce embraced mobile working practices. Businesses are having to invest large sums of money in zero-trust solutions in an attempt to secure their data, but this is proving to be ineffective as can be seen by the fact that data breaches are never out of the headlines. Adopting a reactive approach to data management and security is not effective and no longer works. As the threat landscape evolves, businesses must re-evaluate their approach and review newer technologies that specifically address the growing internal and external threats to data security, but also drive business agility and collaboration. Enterprise Blockchain should enforce security at the data layer, allowing businesses to enable secure data sharing and contextual access, while also protecting and empowering employees, making collaboration more efficient and affording full visibility over how data is used. Do you have any practical examples of where this approach is making a real difference? The HR and payroll sector is an excellent example of an industry surrounded with sensitive data from employees’ bank details to performance reviews. Both job functions involve a heavy focus on compliance and alongside the introduction of the General Data Protection Regulation (GDPR), hypersensitivity around data protection, and data breaches on the rise, protecting employee data has never been more important. What has become more apparent as the importance of data has continued to grow, is that employees trust their employers to ensure the ethical use of their data. In return, businesses need to ensure they have the appropriate solutions and process in place to reassure employees that their data is protected. Regulations do exist and for good reason, but there is also a moral obligation for those who work in HR and payroll to make sure they are committed to keeping data secure. HR and payroll departments need to look further for solutions that will enable them to navigate the new realities of today’s digital workplace. A data management solution designed for the reality of HR and payroll is what is desperately needed. A Technology that is just as decentralised as the data it is trying to protect. Unfortunately, the traditional zero-trust security solutions that many businesses rely on are falling short in the battle against modern cyber-criminals – as evidenced by the constant stream of high-profile data leaks and cyber-attacks. Not only does this pose financial, operational and reputational risks for businesses, it can also stifle data sharing and affect the relationship between employers and their staff. NGA HR have recently partnered with Gospel Technology to facilitate such secure data collaboration, ensuring that their data can only be accessed by the people authorised to view it, and only in the context of the relevant fields of information required to complete a process. This is proven to increase service efficiencies and reduce the possibility of human error. NGA HR is also looking at how this can enhance the experience of their clients, potentially offering new services to their clients. What challenges are enterprises facing in deploying it? An enterprise data platform underpinned by DLT should be able to rapidly integrate into and enhance existing applications ingesting and accessing data from legacy systems, cloud-based applications and sensors securely, without disrupting operational processes.